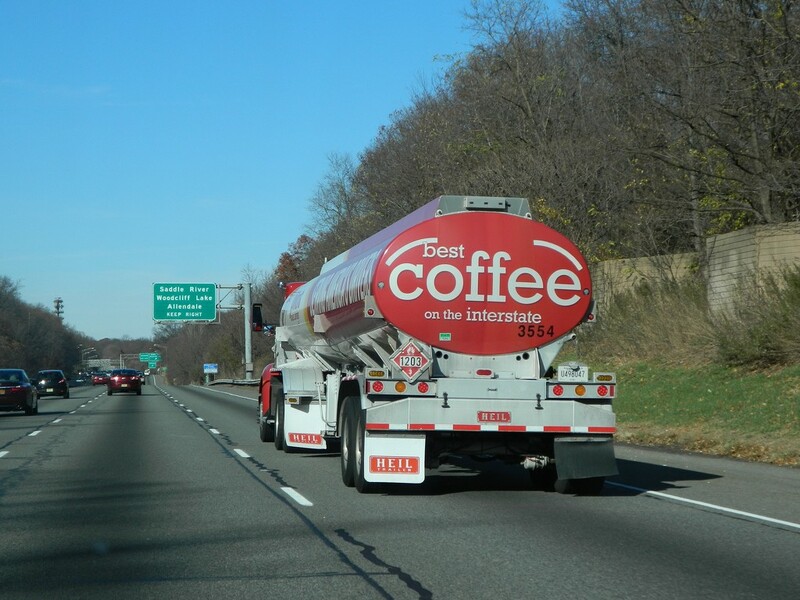 After seeing this coffee truck I wish I had a cup of coffee - first time seeing a coffee truck on the road. HaHa. I bet a lot of drivers pulled over at the next rest stop!